Laura “Helen” Shook, 96, of the Jutts Creek Community in Robbinsville, NC, passed away peacefully in the presence of family on Sunday, November 11, 2018. A native of Graham County, Helen was the daughter of the late Booth and Amanda Crisp. She is preceded in death by her husband, William L. Shook, grandson, Christopher Shook, and brothers Boyd, Booth, Jr., John, Harold, Arnold, and Frank. She remained close to her surviving siblings, Ralph Crisp of Andrews, NC, Mary Ruth Shuler, and Shirley Crisp, both of Robbinsville, NC. Helen was known for her extraordinary garden and flowers, but she was an artist in many ways with a rare gift for seeing and creating beauty in her property and everything she touched. She used her talents and immense joy of entertaining and meeting new people to succeed in small business ventures throughout her life. Those included Shook’s Trout Pond, which eventually grew to Shook’s Campground with visitors from across the country who returned year after year to enjoy her beautiful flowers and ponds. She also had a clothes shop for many years, sold Avon and Mary Kay, and sold paintings as a self-taught artist. Her entrepreneurial spirit continued even into her 90’s as she taught herself how to make jewelry. Helen is survived by her children, Stanley and wife Carol Shook of Westminster, SC, Randy and wife Shirley Shook of Nantahala, NC, Joy Mauter of Pigeon Forge, TN, and Judy Trammell, Jennifer Sadler, and Debra Shook, all of Robbinsville, NC. 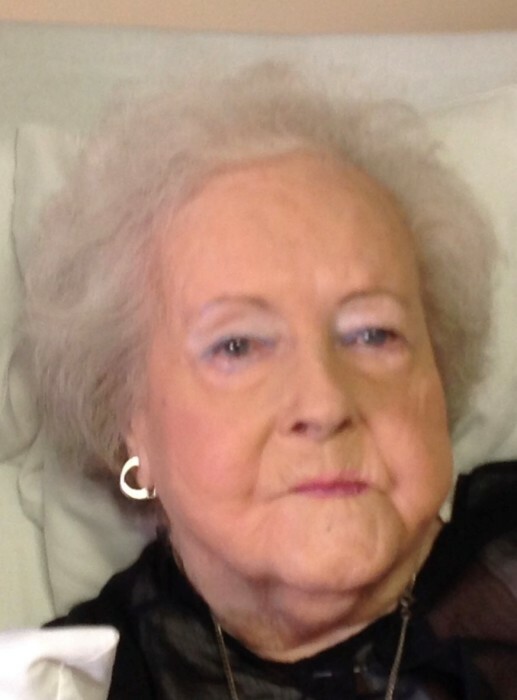 She is also survived by her grandchildren, Jeff Shook and wife, Sherry, and son, Jack Carver of Salem, SC, Terri Connell and husband, Brian, and sons, Bailey and Dawson of Waxhaw, NC, and Karl Sadler and wife, Jessica, and sons, Ethan and Owen, of Marietta, GA.
Helen had a kind and giving heart and never met a stranger. She loved to laugh, tell and listen to funny stories, give tours of her garden and ponds, and took pleasure in her home, family, and many friendships. For her children, grandchildren, and many others, she left a legacy of memories and beautiful paintings of her beloved flowers and Appalachian landscape. Funeral services will be held at 5:30 pm on Thursday, November 15, 2018 at the Townson-Smith Chapel. The Reverend David Anderson will officiate. The family will receive friends from 3:30 until 5:30 pm Thursday at the Chapel, prior to the service. Townson-Smith Funeral Home is honored to be serving the Shook family. An online register is available at www.townson-smithfuneralhome.com.